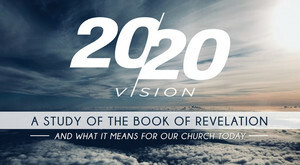 In the book of Revelation, Jesus gave John a 20/20 vision of what was going to take place in the future of the church. As we study this book together, our prayer is that God would not only gain a better understanding of his glory and his reign but that he would also give our church a clear vision in our own context as we approach the year 2020. Elijah was a powerful prophet whom the Lord used mightily to draw people to himself. But James tells us that Elijah wasn't some supersaint--he was a man just like us. In this study, we will walk through portions of 1 & 2 Kings as we see God use an ordinary man to do some extraordinary things. The resurrection of Jesus does more than just give us the hope of eternal life. Jesus desires that we experience his fullness now. Journey through God's Word with us as we discover the secret to truly abundant living. We tend to live like tomorrow is guaranteed...but it's not. The Lord could come back at anytime. Are you ready? This study takes us through the book of Joel as we prepare ourselves for the Day of the Lord. The holidays are a time of wonder and celebration. But they can also be a time of pain. Sometimes the holidays hurt. How do we face the holidays with broken families? Lost loved ones? Fear of the uknown? Crushed dreams? God's Word gives us the answer. What would it look like for Christ to be first in every area of your life? Journey with us through the book of Colossians as we rediscover the supremacy of Christ. Whatever the reason may be, it's easy to put off what we know we need to do. This series reminds us of some critical issues that we as Christians need to address on an ongoing basis. What happens when we die? Will I see my family again? What is heaven like? In this series, we examine what the Bible has to say about Heaven and Eternity. Each new year provides a fresh opportunity to renew our walk with Christ. How do we keep from falling off the wagon? Join us as we look at several spiritual disciplines that can help us maintain a consistent walk with Christ. Our lives are works in progress. Sometimes we build them in the wrong way. In this series, we'll study through the Old Testament book of Haggai and find out God's plan for us as we follow him. Weeds. They creep in and crowd out what was planted for good. Join us in this series as we examine some of the weeds that we allow to take root in our hearts and keep us from being fruitful believers in Christ. None of us are perfect. Thankfully, we serve a God who always gives us another chance--no matter what we've done. Join us as we study the small Old Testament book of Jonah and see how God is faithful, merciful, and loving. From the beginning of time, God ordained the family as the primary institution in which he would show his grace and glory. Join us as we take a look at God's design for the family and how you fit into the picture. In Jesus' life, there were a few pivotal moments in which his glory was fully revealed to his followers. In this series, we take a look at these moments and how Jesus' glory should alter our lives. What is the church and why is it so important? This series examines biblical reasons for why we do what we do each week. This series examines themes of worship and God's sovereignty in the very first Christmas "carols" of Luke's Gospel. We consistently give thanks every year, but we don't do such a good job of being living examples of thankfulness. Romans 12 paints a picture for us of what it looks like to live a life of thanksgiving. In this series, we examine the life of Noah in Genesis 5-10 and find that God is always faithful, even when we experience storms in life. In Matthew 10, Jesus calls his disciples and sends them out into the world. This series describes our call to follow Christ and tells us what we can expect as we do so. In this series, we examine several psalms in order to find the secret to true happiness. The gospel is the good news of salvation through Jesus Christ. But it's more than just something we believe in once. This series examines the overarching effects that the gospel should have upon every believer. Living for the Lord is tough when we are surrounded by a sinful culture. This series examines Daniel 1-6 and provides helpful insights on how to follow God even if no one else does. 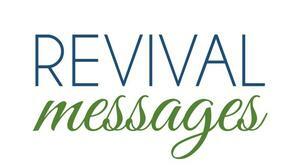 These sermons were preached at our revival services. 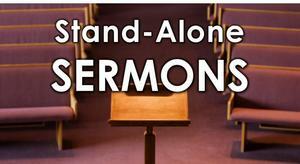 These sermons were not part of any particular series and deal with a wide variety of topics.